Philip Morris Glass (born January 31, 1937) is an American composer. He is considered one of the most influential music makers of the late 20th century. His music is also often controversially described as minimal music, along with the work of the other “major minimalists” La Monte Young, Terry Riley and Steve Reich. Glass has distanced himself from the “minimalist” label, describing himself instead as a composer of “music with repetitive structures”. Though his early mature music shares much with what is normally called “minimalist”, he has since evolved stylistically. Currently, he describes himself as a “Classicist”, pointing out that he is trained in harmony and counterpoint and studied such composers as Franz Schubert, Johann Sebastian Bach and Wolfgang Amadeus Mozart with Nadia Boulanger. 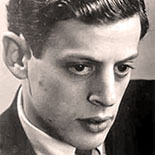 Glass is a prolific composer: he has written works for the musical group which he founded, the Philip Glass Ensemble (with which he still performs on keyboards), as well as operas, musical theatre works, ten symphonies, eleven concertos, solo works, chamber music including string quartets and instrumental sonatas, and film scores. Three of his film scores have been nominated for Academy Awards.